Within the stunning mountains and bustling townships decorating the shoreline of Big Blue, the magnitude of activities one can enjoy in the basin can seem overwhelming. It is safe to say that in Lake Tahoe, the problem is not a lack of things to do but choosing which activity to do first! To help, I'm listing five upcoming daytime events that deserve a little extra attention. Each, in its own way, is certain to up the happiness factor. Keep reading to learn more. Swimming is a great way to get the body warmed up and limber, but you can take the challenge to an even higher level by attending an AquaHIIT class. A High Intensity Interval Training class done in a pool, this 55-minute class is superb for improving muscle tone, building complete body strength and burning fat, while at the same time leaving you feeling energized and motivated. All of these benefits come with the added benefit of being low impact on the body, so it is a fabulous activity for the joints. 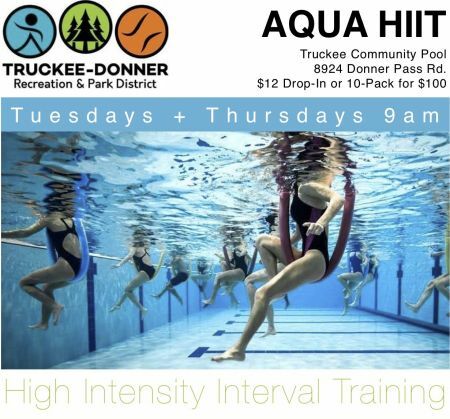 The class happens every Tuesday and Thursday at the Truckee-Donner Community Swimming Pool at 9 a.m. Cost is $12 for drop-in or $100 for a 10-class pass. All mothers of babies and toddlers (kiddos up to 36 months) are invited to this wonderful community-building event that helps support and nurture moms during a most intense time in life. The weekly support group shares experiences and communicates about the roller coaster that is called parenthood. The group offers support from both moms-in-action as well as professionals such as a childbirth instructor, a nurse, an infant massage therapist and guest presenters. This is a free event that happens every Tuesday from 10 a.m. to 12 p.m. Enjoy superb views and great live music all day long at the Shops at Heavenly Village. 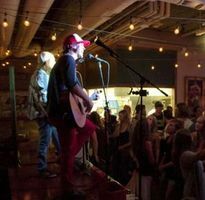 Seven days a week, music is hosted at different establishments around the village. Daytime music starts at 11 a.m. and runs until 3 p.m. or later, depending on the day. This is a free event. Each month find yourself spellbound by a different tale of wonder with South Lake Tahoe Public Library’s Friends Book Club. For February the book of focus is A Gentleman in Moscow by Amor Towles. For March the story shifts to Mister Pip by Loid Jones. On the third Wednesday of each month, there is a free get-together to discuss the novel and hear others' thoughts on the literary piece. The discussion begins at 3 p.m.
For anyone who has dealt with chronic pain, this is an event not to be missed. Developed by Stanford University School of Medicine, this six-week course teaches an evidence-based program that will help you live a life without pain. Participants will learn skills, techniques and strategies for dealing with and overcoming pain. Other aspects such as appropriate use of medications and healthy eating will also be discussed. This is a beneficial program for anyone facing neck, shoulder or back pain, pelvic pain, post-surgical pain, nerve pain, persistent headaches, inflammatory bowel disease, Multiple Sclerosis or any general chronic pain. This is a free event happening every Wednesday at 12:30 p.m. 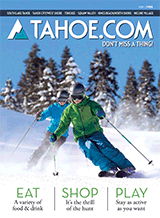 Please be sure to visit our Daytime and Nightlife sections to learn about other events coming up in the Lake Tahoe area.